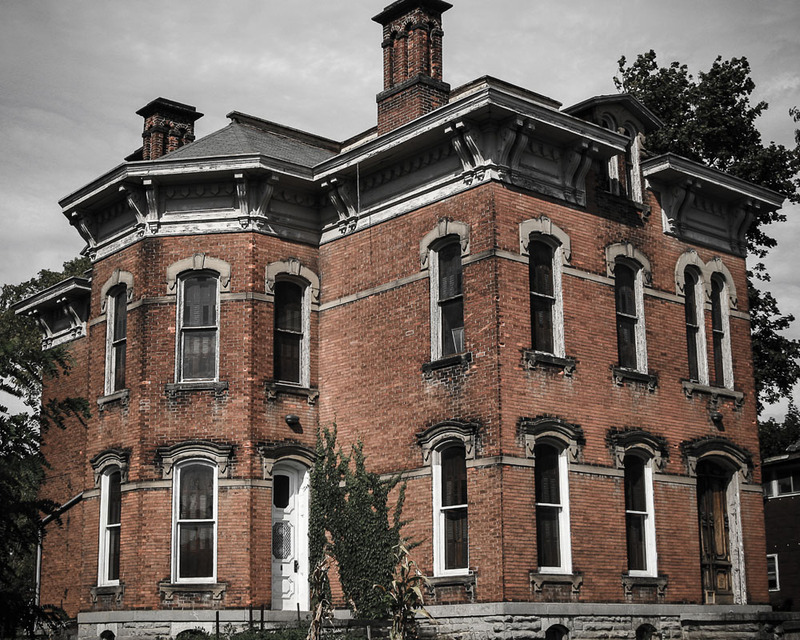 Like a lot of cities across America, Marion has its share of neglected and decaying buildings and houses. 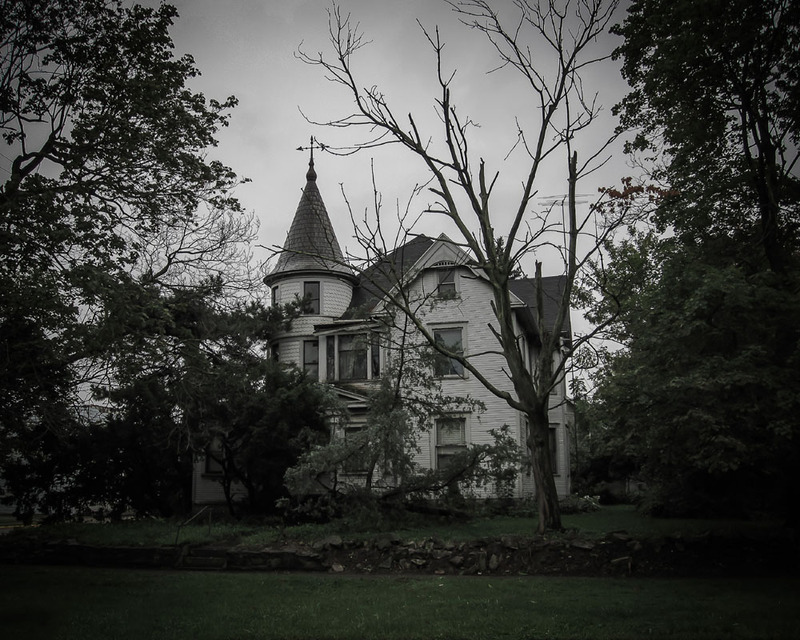 Since we, the spooks at Spooky Marion, are enamored with all things neglected and decaying, we thought it would be interesting to put together a collection of photographs documenting a few of these places as well as their stories. These photos are by no means a comprehensive collection of Marion’s “ruins” but rather the beginning of a collection we hope will grow. That said, anyone with photos (new or old), ideas for photos or information about photos already shown here should leave a comment below or drop us a line at spooks@spookymarion.com. Last but not least, a special thanks to Kirk Wyckoff, who was kind enough to contribute many of the photos shown below. 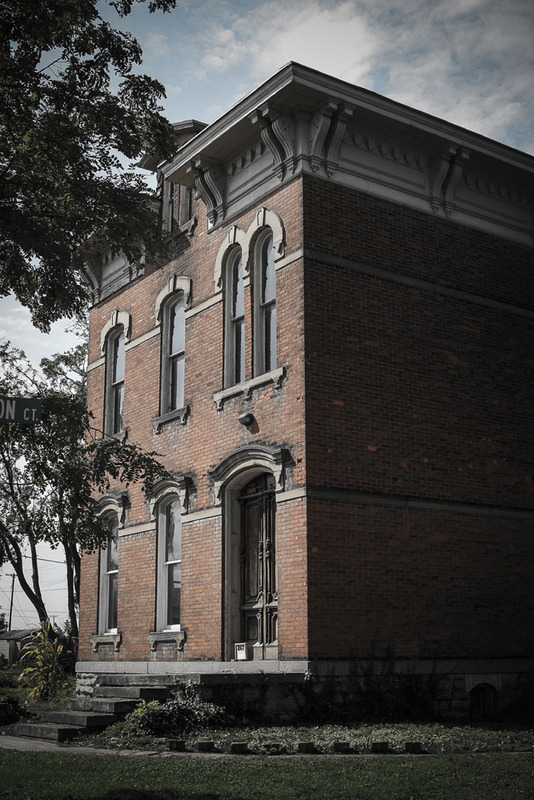 This once-grand house, located at 247 North Prospect Street, originally belonged to the Kellys, a prominent local family that later included Judge Robert Kelly. According to local resident, Phyllis Ingmire, the Kelly family had the house built in the 1870s. It is now a rental property. Photo courtesy of Kirk Wyckoff. The construction of the Prospect and State Street overpasses in the 1960s made many of the houses on both streets less desirable places to live, and many have fallen into disrepair. Photo courtesy of Kirk Wyckoff. This house, located on the corner of Blaine Avenue and West Church Street, has certainly seen better days. However, the craftsmanship that went into its construction is still evident even now. It must have been a sight to behold at one time. Founded in 1904 by W.H. 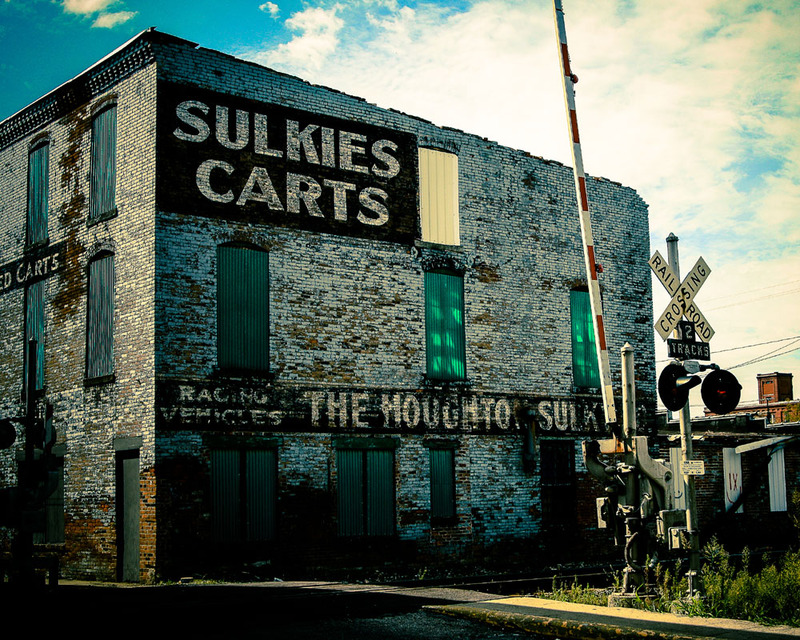 Houghton, the Houghton Sulky Company built world-class sulkies (lightweight, two-wheeled carts, usually horse-drawn) for 103 years before finally closing its doors in 2007 due to financial difficulties. Photo courtesy of Kirk Wyckoff. In his book about Marion, Stuart Koblentz writes that the oldest part of the building was originally a Centenary Methodist Episcopal Church. However, after Marion’s rail lines were built, the location was no longer suited for quiet church services. 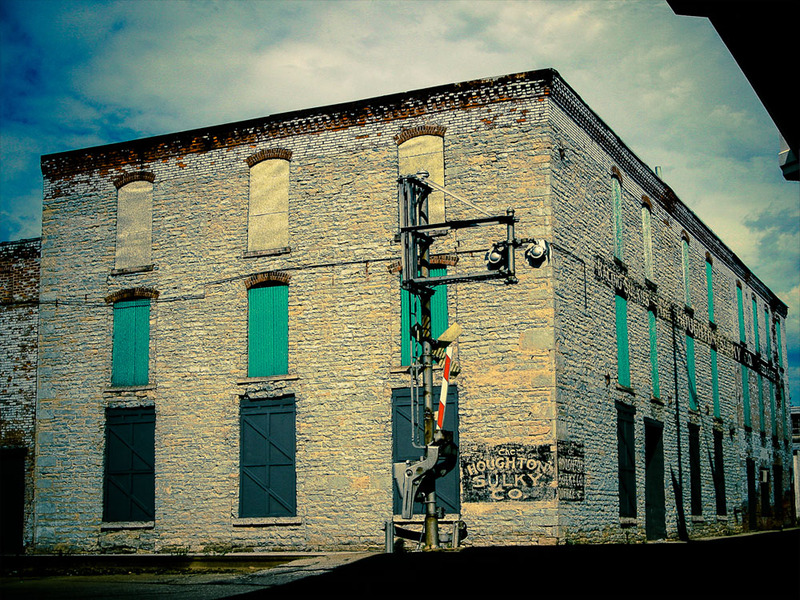 The structure was later used as an industrial manufacturing space, first by the Huber Manufacturing Company and later by the Houghton Sulky Company. Photo courtesy of Kirk Wyckoff. An advertisement for Houghton Sulky that appeared in Time Magazine on March 15th, 1937, stated: “Houghton Sulky – Proudly manufacturing the world’s finest quality show horse vehicles. Quality is a hallmark of Houghton training and show vehicles. Traditional quality is a blend of elegance of design, the highest quality materials, and demanding standards of craftsmanship. Houghton Sulky carries a full line of carts for horses, ponies, and miniature horses.” Photo courtesy of Kirk Wyckoff. 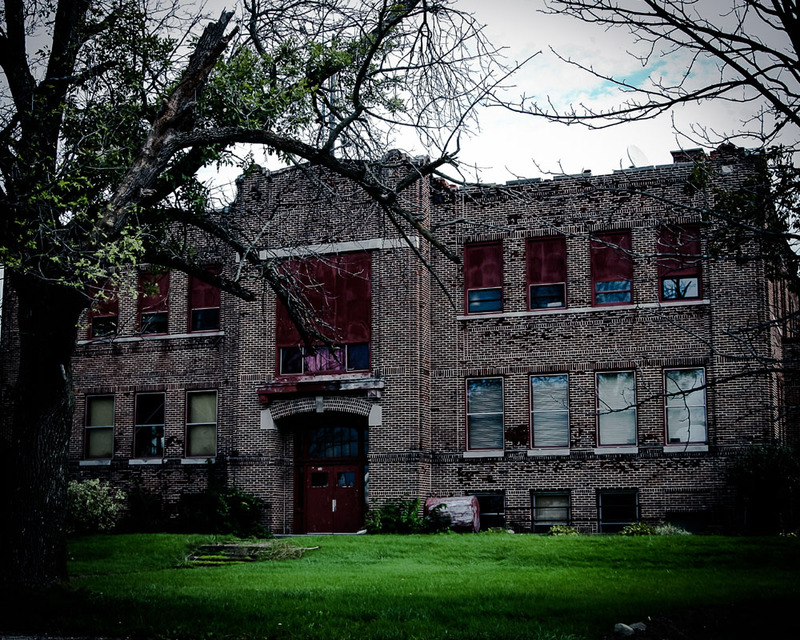 According to Aaron Turner’s website Old Ohio Schools, the Tully Township School out in Martel was built in 1915 but closed its doors in 1987. The building, however, is not abandoned. 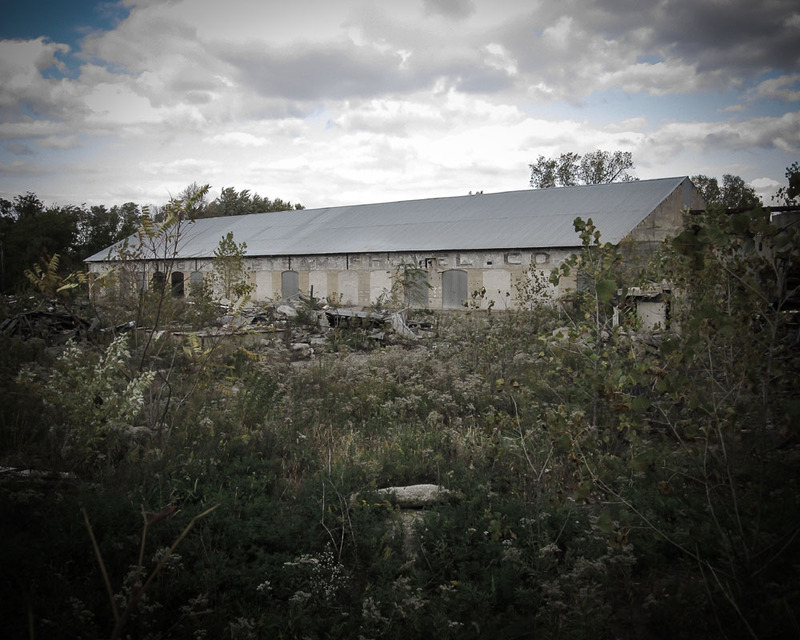 When this photograph was taken in late 2012, people were living in at least part of the building. Photo courtesy of Kirk Wyckoff. The Tully Township School shortly after its completion. Photo courtesy of Aaron Turner. 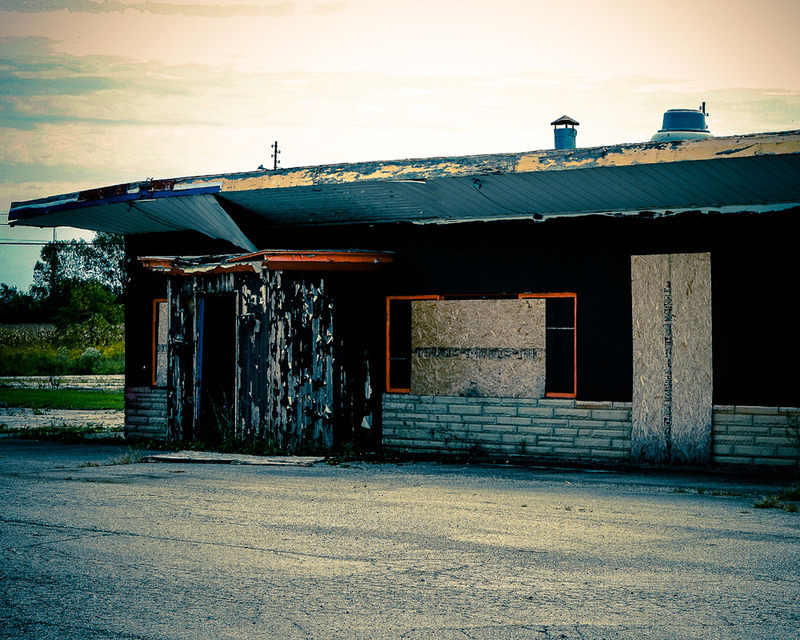 The former Courtesy Budget Inn, located at 1361 Harding Highway East, was once a modestly priced motel but has been sitting derelict for the past few years. The rooms that occupied the east side of the complex have already been razed, and it seems reasonable to assume that the rest will not escape the wrecking ball much longer. Photo courtesy of Kirk Wyckoff. 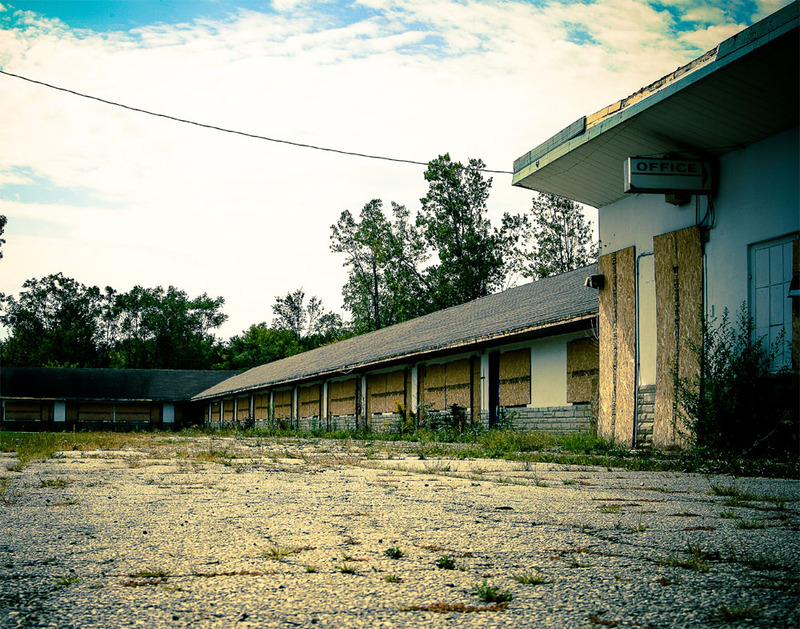 The motel is located in a heavily-trafficked part of Marion, a fact that’s likely to appeal to developers in the coming years. Photo courtesy of Kirk Wyckoff. 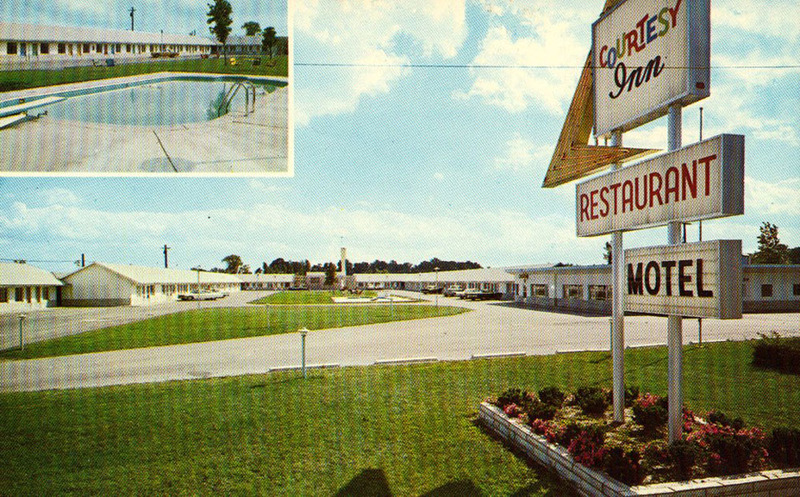 The Courtesy Budget Inn during its more respectable days. Photo courtesy of Randy Winland. 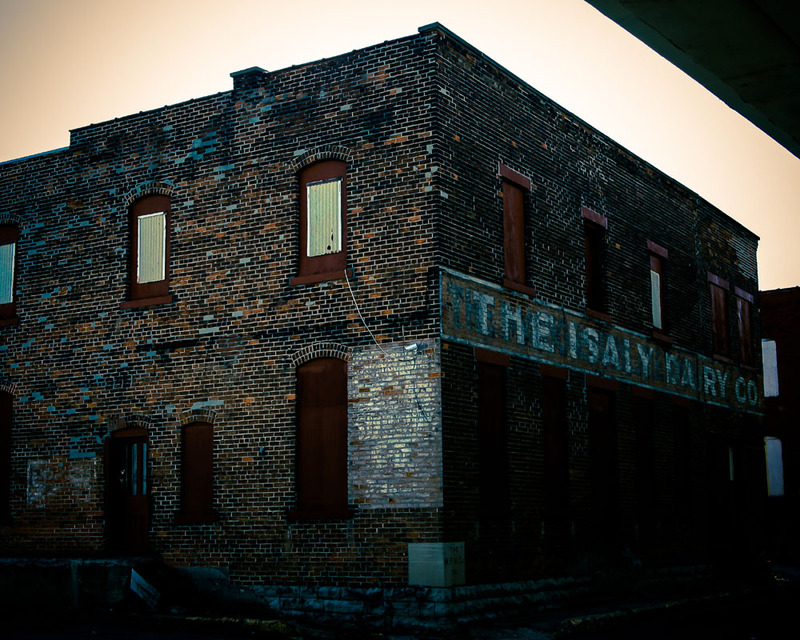 Although originally a Mansfield-based company, the Isaly name played a part in Marion life for many years. 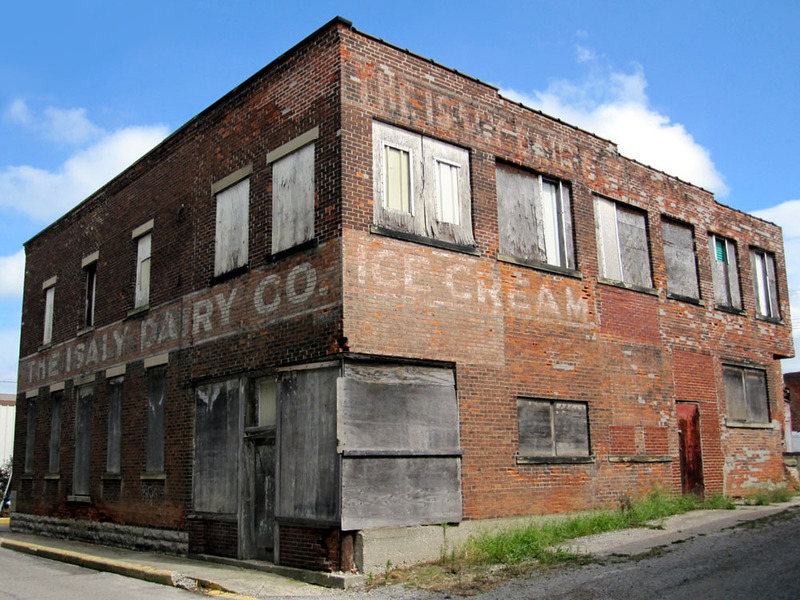 This particular building, located at 202 North Prospect Street, is all that remains of a group of buildings that housed the dairy plant as well as the Isaly offices. Photo courtesy of Larry Henne. Brian Butko, author of Klondikes, Chipped Ham, & Skyscraper Cones: The Story of Isaly’s, writes that this particular location was in use from 1915 to 1947. He goes on to write that the Isaly brand began to decline in the 1960s and disappeared completely from Marion in the 1990s when The Isaly Shoppe went out of business. Photo courtesy of Kirk Wyckoff. This building, located at the end of Rose Avenue (past the halfway house), is a bit of a mystery. Although the words “Steam Shovel Co.” are still visible on the west side of the building, its purpose and when it was in operation remain unclear. The same building seen from the east or Leader Street side. Some comments on your Marion Ruins photo pages. While not a Marion native, I did work here a year in the early 1980’s and my grandparents and several other family relatives lived here. First, I never realized that the building we called the “old sulky factory” was the home of the Huber Manufacturing Company. My grandfather, who passed away in the 1960’s was the Huber Co.’s bookkeeper. I had walked past this place many times never knowing what it was. The old building on Rose Ave. was used in the 1980’s as a Marion Power Shovel storage building. I don’t know if it ever was used for any other purpose by Marion Power Shovel. The Isaly Dairy was big at one time. They had several stores and restaurants, including the last one out on 309 East of town. It was one of my favorite restaurants and my grandmother took me there often. In the late 1980’s I was on a trip to Wisconsin and stopped at a rest area where I started up a conversation with a young woman who was also driving a car with Ohio license plates — turned out she was a member of the Isaly family. The building at the end of the Rose Avenue location looks like a building that was part of the Alloy Cast Steel Co. My father worked there for over 30 years, leaving as plant superintendent. 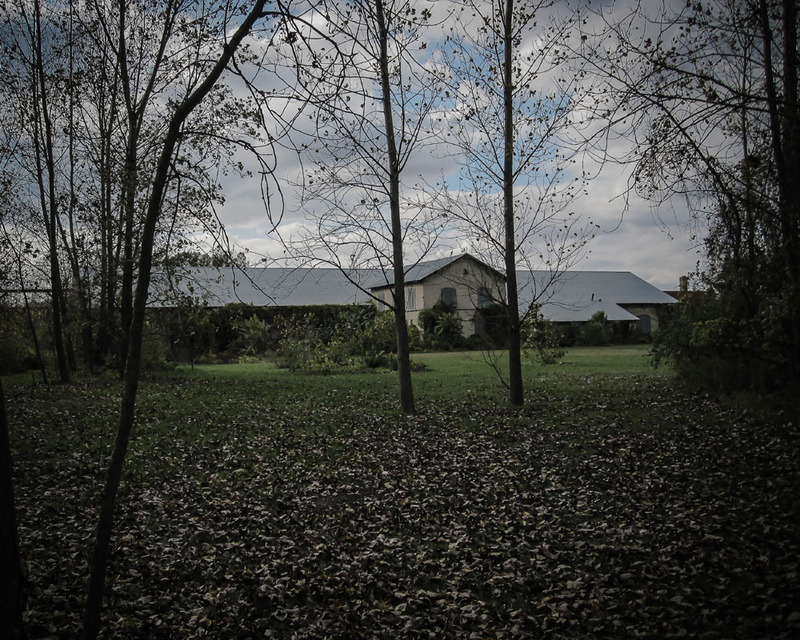 It was a disturbingly creepy place to go when I was a child. Please contact me for more information. Isn’t the Building on Rose the one that burnt down in the 90’s? I believe late 90’s. I recall walking over that way from where I was babysitting b/c I heard it had caught on fire. I faintly remember it being there, though. They just tore the motel down not too long ago. I think Josh Daniels owns the property now. If McDaniels owns it, you know there will be some beautiful apartments going up real soon. He is really good at taking dumpy lots and erecting nice apartments on the same site. Good for Marion! I’m not sure exactly what they did at the abandoned building behind the halfway house on Rose Ave. But the mid to late 80s is when they closed their doors for good. The employees went on strike and the company was hiring off the streets (people they called scabs). I remember that clearly because I lived on Silver St. at that time and there were fights every time the “scabs” showed up for work. The Houghton Sulky Company. That building was the McMurray Sulky Company founded in 1866. McMurray Sulky Co. later joined with Fisher and became The McMurray- Fisher Sulky Company. Then purchased by Houghton. 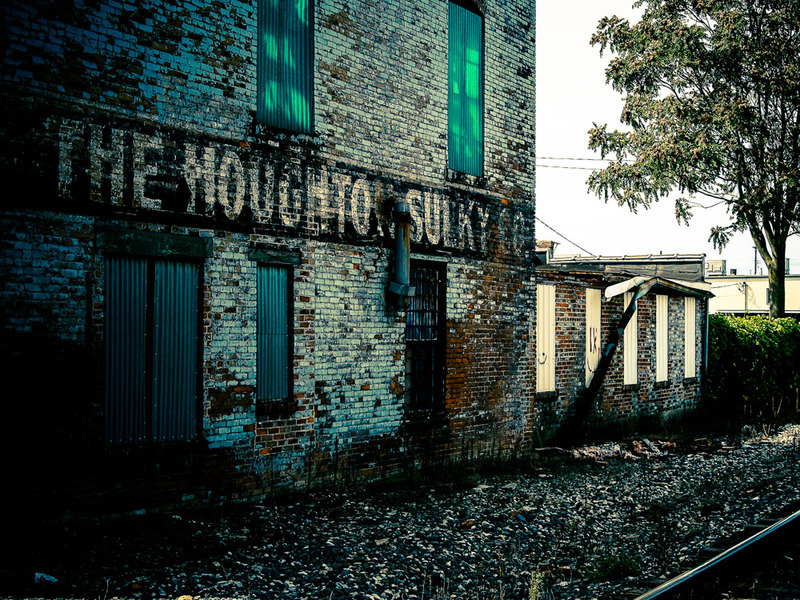 Does anyone know who closed the Houghton Sulky Co.? Were there any records of sales or anything saved from there? If anyone knows anything about this company, will you please contact me? Looking for anything about any of the sulky companies. Thank you. The house pictured at the top of this (247 N. Prospect St.) is currently housing many people. It is a men’s shelter that is operated by the Be Ministries church here in Marion. The last Isalys restaurant was called Isalys Shoppe and it was on route 95 not 309. In the early ’50’s the offices were in the milk/ice cream/restaurant on East Center St. This article about the buildings was most interesting. Glad we still have interested and knowledgeable people to remind us of what we still have. My mom grew up in the Prospect Street Kelly house and was last to live there with her mother before it was sold to her brother-in-law as a commercial property. Later, in the early 2000s ownership passed to people outside of the family. The point of my commenting is to add a “fun” spooky fact. Tim Kelly, a first generation Irish immigrant and veteran of the Civil War, built the house. During the war, he received injuries to the head and had a metal plate placed fitted to his skull. He and his wife went on to have 10 kids. When his wife was pregnant (3 months, maybe), Mr. Kelly died as a result of complication from the plate in his head. Family lore is that the sun was too hot and essentially cooked his head. Either way, he left a widow and ten children and one on the way.